What’s happening at the former Oriental City? It has been three and a half months since the closure of Oriental City. Now at this time, the property developers should have demolished the entire site and perhaps get the foundations of a brand new development at least started. Well, this afternoon, I thought I would pass by Colindale to check out what they have done since the closure in June. Here’s a shot I took this afternoon. Well, what’s going on? The entire area has been boarded up but the old Oriental City site is still there in one piece. It is still standing! That means Oriental City could have still been open during this time since no demolition has taken place! Perhaps the property developers are short of cash? What is your point of view about the situation? Let me know! Oriental City – past, present and future? As promised, I dedicate this blog entry entirely on Oriental City. This blog is divided into three sections, the past, present and future? (a question still yet to be entirely answered). As you already know, the place has closed. This week, the place is getting demolished for a brand new development. So you may be asking what is happening now? Well, some places have found some other places to run their business. For instance, the supermarket is moving to Queensway, Bayswater and a few retail shops have found places but one particular place has collected names and address to let them know when and where they would be moving and the bakery is moving to North London. As for others, like the people in the Food Court, there’s uncertainty. 6. Finally, Zen Tian Di Oriental Buffet Restaurant. One of the first places that I went to experience an Oriental Buffet…there’s no mention of it moving though. So the question now is what is the future of Oriental City? If you had a look at the local newspapers recently, you may have read reports that a 21,000 square foot site has been found for Oriental City which is not far from where it used to be. As long as it can be secured, then it will mean some hope for the traders. So what would be offered if the site is secured? Well there would be enough room for at least 40% of the businesses who were in the former Oriental City. Details include a mini food court, a small supermarket and at least room for ten shops saving 200 jobs. Where will it be? At present, details have not been disclosed. And what about the property developers? Well considering it may take more than three years to build the redevelopment, they claim that they have identified a space for the traders when the development opens. But there is fear that the time to take to build is a very long time and that businesses will close down altogether. I will come back to this subject at some point, but what are your thoughts on the current situation? Let me know. What a sad day for Oriental City…today the Food Court opened for the very last time closing at 7:00pm this evening. This is one of the main reasons people come to the centre in Colindale, London. And that is to try the various food around south east Asia…where else will you find a place like this in the UK? Probably nowhere. 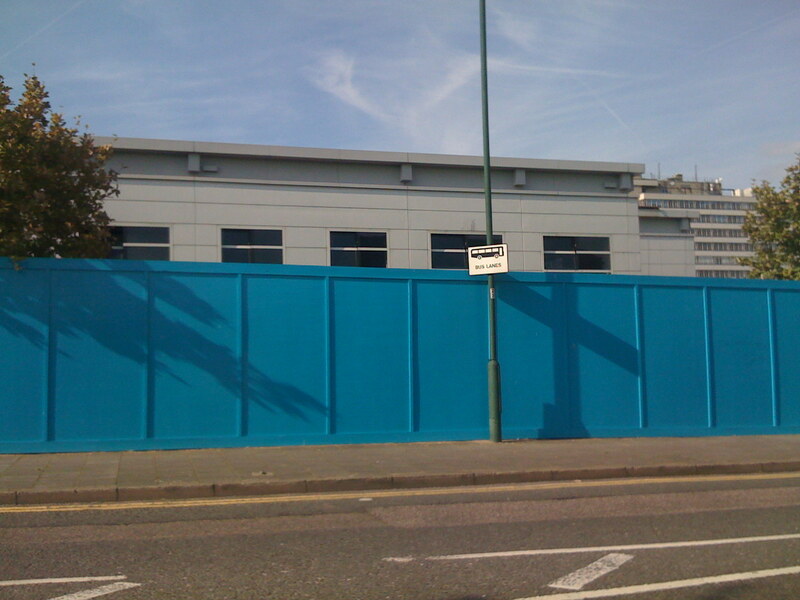 The property developers were happy to see it go…and have decided to build flats, a school and oddly enough, a B&Q? Why? I think it is all about the money at the end of the day! The shops will remain open until 8th June where Oriental City will finally close its doors. This coming week, I will be posting another entry with a small gallery of photos of the centre. What memories do have about the Food Court in Oriental City? Was it wrong for them to close it down? Let me know and share your thoughts. The other day, I visited Oriental City in Colindale to have a quick snack in the Food Court. For those who don’t already know, Oriental City is a large shopping complex featuring shops and restaurants. The thing is, is that the huge complex will be around until at least next month when the whole area will be completely redeveloped with housing, B&Q and a school. There are plans to relocate the centre after months of protest…at present the search is still on to find a suitable location. It will be sad to see Oriental City go…only because it is so unique and there’s nothing like it in London! What do you think of Oriental City? What will you miss? Let me know of your thoughts.